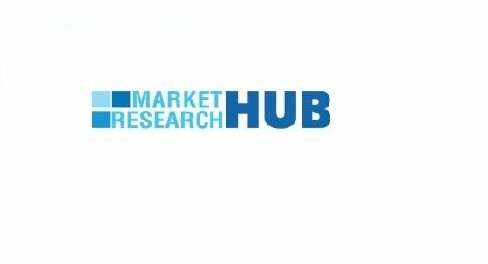 Albany, US, 2019-Mar-19 — /EPR Network/ —Market Research Hub (MRH) has recently broadcasted a new study to its broad research portfolio, which is titled as “Top Growth Opportunities: Savory Snacks in Poland” provides an in-depth analysis of the Savory Snacks in Poland with the forecast of market size and growth. The analysis includes addressable market, market by volume, market share by business type and by segment (external and in-house).The research study examines the Savory Snacks in Poland on the basis of a number of criteria, such as the product type, application, and its geographical presence. The whole supply chain of Savory Snacks in Poland has been explained with statistical details with a special emphasis on various upstream and downstream components. The current trends pertaining to the demand, supply, and sales of Savory Snacks in Poland, together with the recent developments have been given here to provide an exhaustive picture of this market. “Top Growth Opportunities: Savory Snacks in Poland”, provides an overview of the savory snacks sector, analyzing market data, demographic consumption patterns within the category, and the key consumer trends driving consumption. GlobalDatas proprietary Risk vs Reward Opportunity model pinpoints the best growth opportunities for savory snack producers, suppliers and retailers by combining robust, granular data and expert insight. The report uses this framework to identify the best opportunities, analyze white spaces in the market, and outline new product development that will effectively target the most pertinent consumer need states. These are combined to offer strategic recommendations to capitalize on evolving consumer landscapes. This report provides recommended actions and detailed analysis of how to target the best growth opportunities for savory snacks producers and retailers. Readers can understand what categories, channels, companies, and consumers will drive the success of savory snacks sector in Poalnd through GlobalDatas detailed and robust data, expert insight, and case studies. GlobalDatas Top Growth Opportunity reports use a risk versus reward opportunity model to identify the best growth markets for savory snack producers. Through this in-depth study of market and category dynamics, readers are able to identify key opportunities, and what they need to do in order to target them. – Over 2017-2022, nuts and seeds will remain the highest value category followed by ethnic snacks. – This report brings together consumer analysis and market data to provide actionable insight into the behavior of Polands consumers. This is based on Global Data’s unique consumer data, developed from extensive consumption surveys and consumer group tracking. Category, brand, and packaging dynamics are also examined. This allows product and marketing strategies to be better aligned with the leading trends in the sector.